For all media inquiries, news tips, story ideas, and/or press releases, please send an email to our Managing Editor at [email protected]. 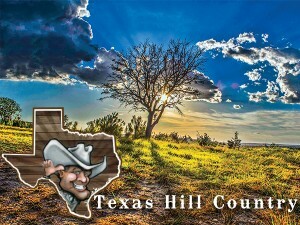 Become a part of our Facebook page and keep up with daily events, promotions, and news regarding the Texas Hill Country. We look to share current, exciting, and promising news regarding the ins-and-outs of Texas Hill Country that you surely will not want to miss. Are you a local business or property within the Texas Hill Country? Don’t let your business go unnoticed here at Texas Hill Country’s biggest source for information, travel planning, and events. Contact our Advertising Specialists for more information on how to update, improve, and maximize your business listing. We promise to send all our visitors your way! Looking to learn more about traveler experience to the Texas Hill Country? Visit our News and Articles page to read about personal experiences, top-notch activities, and must-see locations during a Texas Hill Country visit. Want to share your own story? Email [email protected] and we would be happy to tell you how this is possible. See something wrong on a page or listing within our site? We aim to provide only accurate and current information so that all our visitors receive a top-notch experience. Let us know how we can improve or update information on our site. With your help, we can improve millions of travelers experiences as they tour the sites, sounds, and smells of Texas Hill Country.